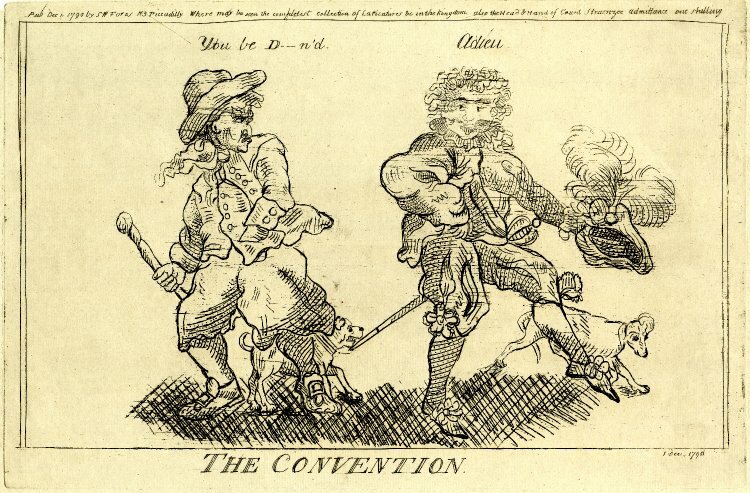 The Convention, Isaac Cruikshank, published by S.W. Forbes, 1790, British Museum. This political cartoon references the Nootka Sound Convention of 1790. It was one of three agreements between Spain and Britain to prevent disagreements and incidents in the Pacific Northwest from escalating to war. The sailor wear a round hat with a rounded crown and loose brim. His jacket has large buttons, and appears to be single breasted, though I couldn't swear to it. 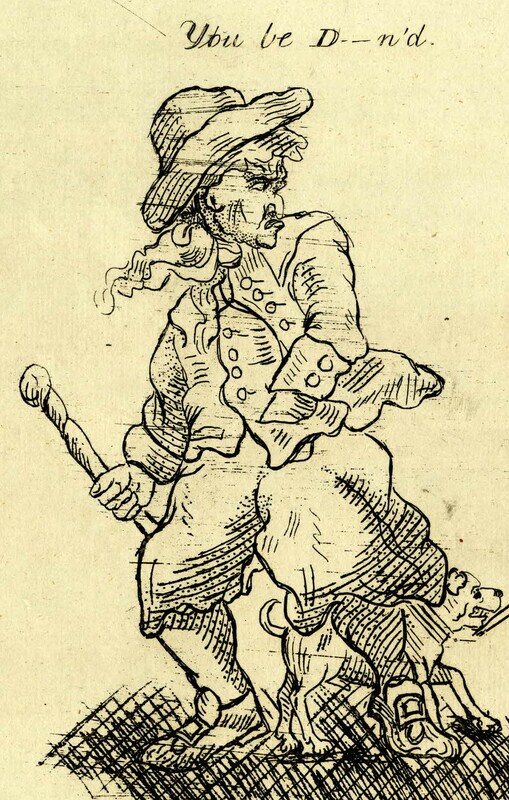 One hand is thrust in the waist pocket of his single breasted waistcoat, which hangs over the petticoat trousers that end just below the knee. In his left hand he holds a stick. he also has his shoes buckled "sailor style"
So he does indeed! I'll add that to the tags.